This is a partial list of what’s out there based on a non-exhaustive survey of the Internet. No promises are made about the accuracy of the material; some of the videos were spot-checked for comprehensibility, but no fact-checking has been done. It is up to users to review the films and videos and decide on their suitability. A few that I have used myself are framed by questions I asked students to answer. We would appreciate feedback on these videos. Goto, T., & Toyoda, A. (2015). JoVE (Journal of Visualized Experiments), (105), e52973-e52973. The overall goal of this procedure is to establish a mouse model of subchronic and mild social defeat stress to study the mechanisms of stress-induced symptoms. 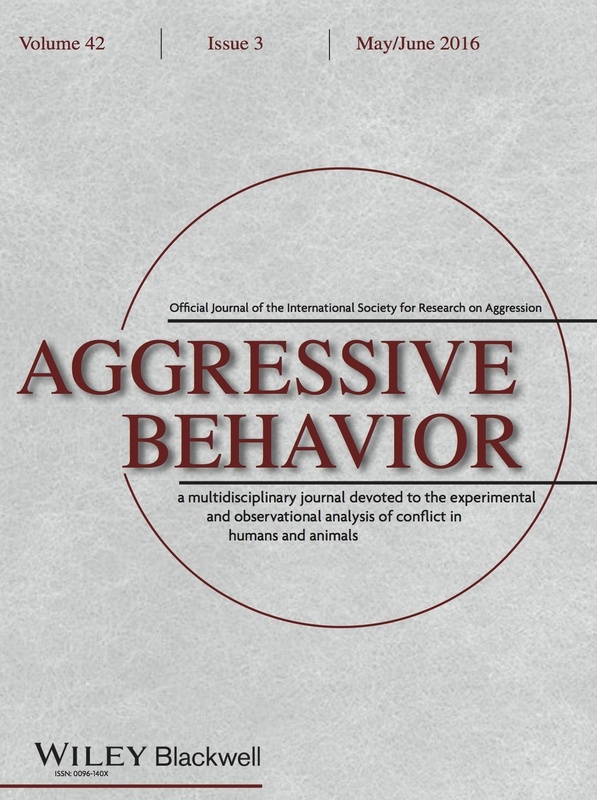 Aggressive Behavior is the official journal of the International Society for Research on Aggression.